Everyone is always looking for a quick breakfast recipe so they can grab it on the way out the door each morning! Let’s be honest if you don’t have something already meal prepped you’ll end up not having time to throw something together and end up getting a keto-ish breakfast on your way to work. 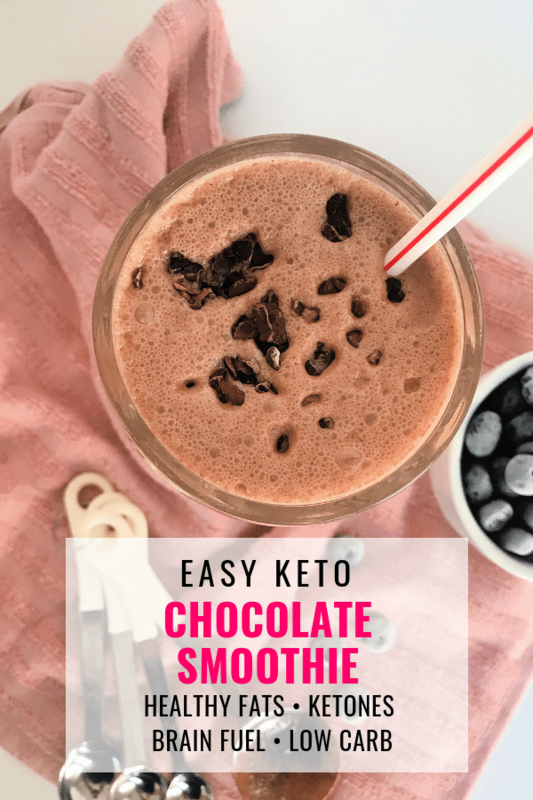 What I love most about this Chocolate Keto Smoothie is that I can blend up five smoothies on Sunday, put them in mason jars and store them in the fridge. First off they honestly taste even better after they have set in the fridge overnight and it doesn’t get much easier than being able to grab a pre-made smoothie on your way out the door. 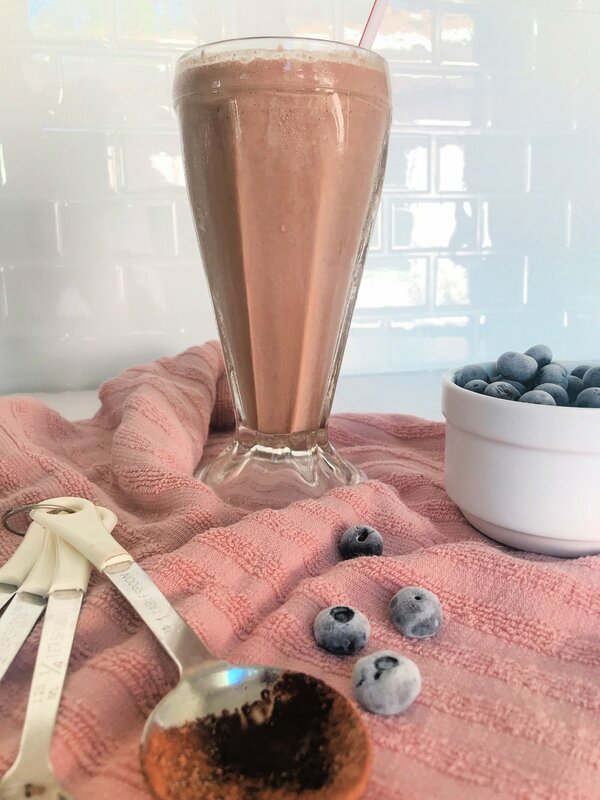 Perfect Keto Chocolate Nootropics powder or you can use any chocolate protein powder or even chocolate collagen powder, but I’ll give you the details on the benefits of using Nootropics here in a second! The instructions are to blend it all together, and breakfast is served! Nootropics are usually supplements that improve cognitive function, particularly, memory, creativity, and motivation. Perfect Keto Nootropics is a combination of ketones, herbs, MCTs, amino acids and collagen. I use to take individual supplements for all of these, and now I have it all jam-packed into one supplement. The exogenous Ketones fuel cognitive function and the MCTs and grass-fed collagen peptides give you that long-lasting mental alertness and clarity. 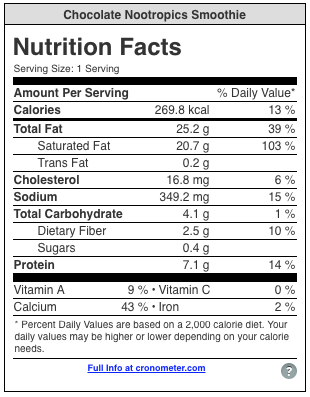 I mean I’m not saying it will make you smarter lol but it certainly includes ingredients that increase cognitive performance. 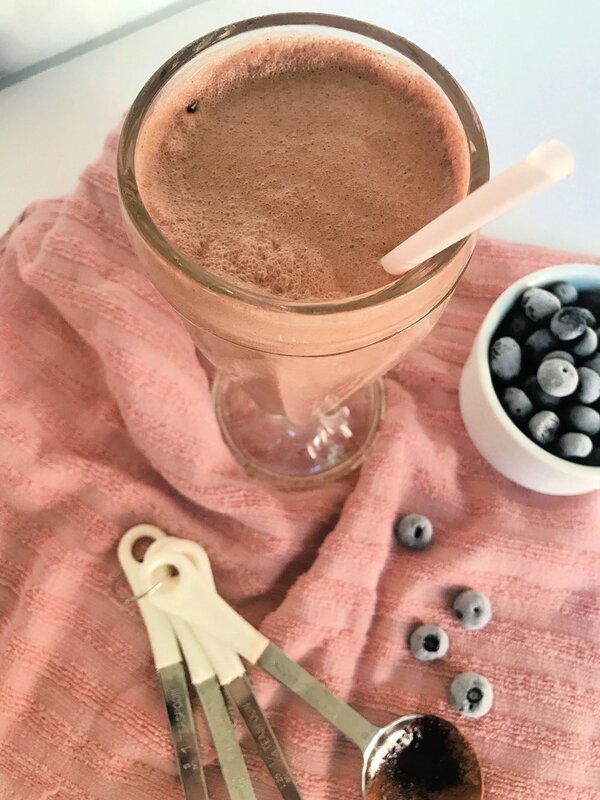 The taste is similar to rich chocolate milk, which is perfect for smoothies, just mixing with nut milk, coffee or just plain water. If I don’t make a smoothie I add almond milk and a scoop of Perfect Keto Nootropics to a shake cup, no blender needed! What exactly is in Keto Nootropics? You don’t have to use Perfect Keto Nootropics just in breakfast smoothies. You can have some before workouts to support energy and performance, when your cramming for a test to support mental performance and of course in the morning, fasted or not to power your mind! If you decide to try some Perfect Keto Nootropics out be sure to use my code “MWM20” for an additional 20 % off. Add all ingredients to a blender and blend until fully combined. You can enjoy immediately or make 5 of them, store them in mason jars in the fridge for a grab and go breakfast every morning.